Arts and culture magazine Entropy recently interviewed artist Terry Arena who currently is exhibiting a few pieces in our “LAX / DTW: Detroit Hustle II” show at Inner State Gallery. Terry is a talented graphite artist who is able to balance light and shadow within a finite space. We’re excited to be showing works from Terry Arena next month, August 5th, in our office area for her exhibition Swarm. Find out more about one of the newest members of the Thinkspace Family, Terry Arena on the Entropy website. Entropy: How would you describe your art? It could be characterized as representational art, photorealistic drawings, still-life with graphite. And, of course, it’s fine art, but your work also delves into conceptual art or maybe even activist art. Arena: I would classify it similarly. Maybe socially aware contemporary still life. I don’t want to take a strong role in terms of activism, but I want to participate in a dialogue about contemporary issues. We’re in the final countdown with only two days left until the opening of LAX / DTW: DETROIT HUSTLE II at Inner State Gallery. 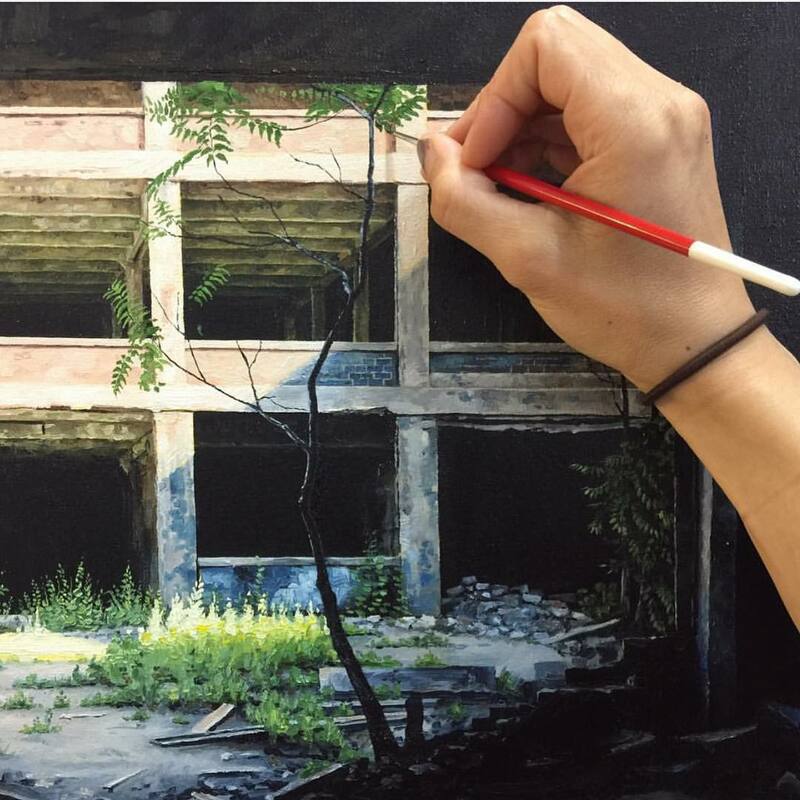 The artists and artwork have landed in Detroit to fill Motor City with their signature works. 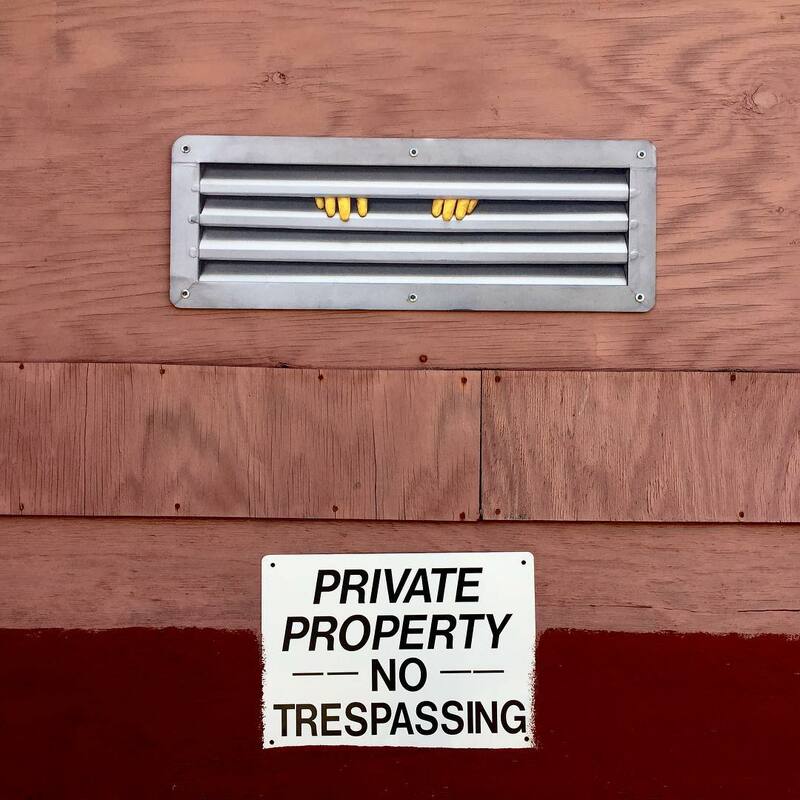 Artist Dan Witz has put up pieces from his Is It Safe Sanctuary series around the city as a part of the exhibition, and the infamous Stickman left his mark in numerous places around Detroit too. However, the excitement continues inside the walls of Inner State Gallery as installations and murals are underway. Ghostbeard and Patchwhisky collaborate on a mural for LAX / DTW: DETROIT HUSTLE II, while Meggs constructs a massive installation with the help of Miya Tsukazaki. 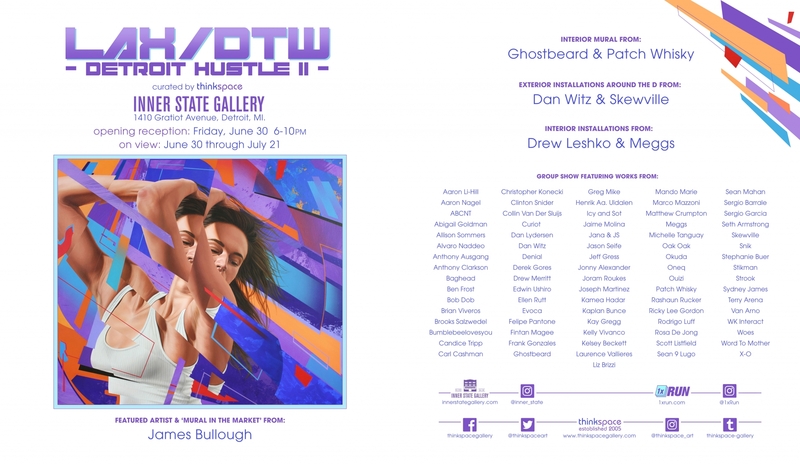 Join us this Friday, June 30th from 6 pm to 10 pm for the opening of LAX / DTW: DETROIT HUSTLE II with work from featured artist James Bullough, the completed interior mural from Ghostbeard & Patchwhisky, and installations from Drew Leshko and Meggs, in addition to a group exhibition showcasing the work of over 70 inspiring artists in the New Contemporary art movement. 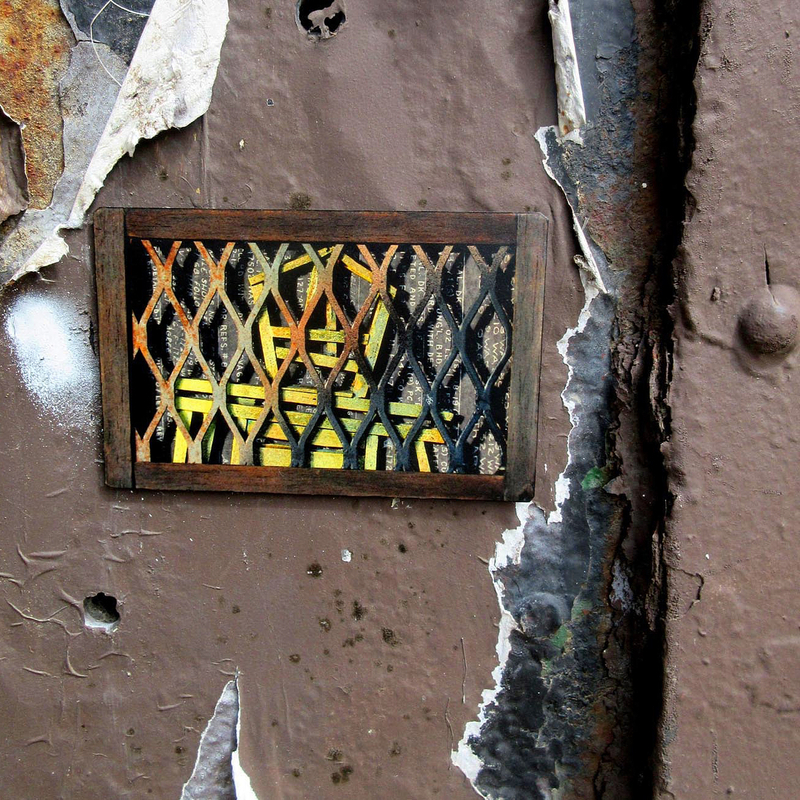 And don’t forget to take your time while heading to Inner State Gallery too, you don’t want to miss the exterior installations around Detroit by Dan Witz and Skewville. 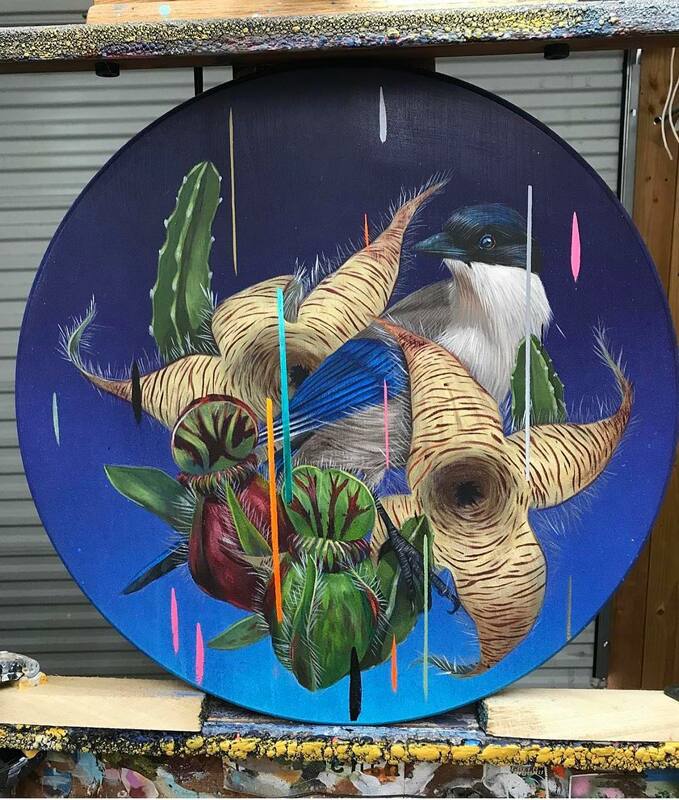 Thinkspace Gallery owner Andrew Hosner is excited to get back to his home state of Michigan for the galleries second exhibition with our good friends at Inner State Gallery and 1xRun in Detroit, Michigan. 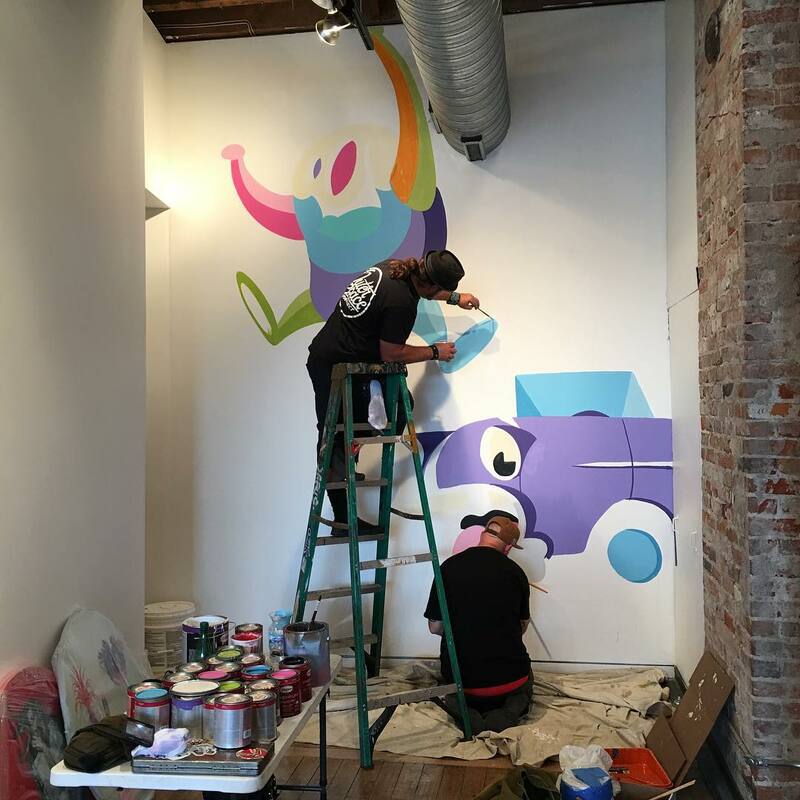 This time around, we’ve upped the ante in a major way bringing in artists for interior and exterior murals along with interior and exterior installations. This time we’ll have James Bullough as our featured artist and he’ll also be gifting the streets of Detroit with a brand new outdoor mural. We’ll also have an interior mural from our good buds Ghostbeard and Patch Whisky along with an installation in the gallery from Drew Leshko. If that wasn’t enough, we’re also bringing out Dan Witz and Skewville from NYC to leave their mark on the streets of Detroit. All this alongside one hell of a group exhibition featuring over 80 artists from around the globe, many of whom will be submitting 2-3 works each. This is going to be a massive show with close to 200 works of art on view and available for purchase PLUS we’re also working with the 1xRun crew to create a beautiful suite of prints to be available in tandem with this special exhibition throughout the run of the exhibition. 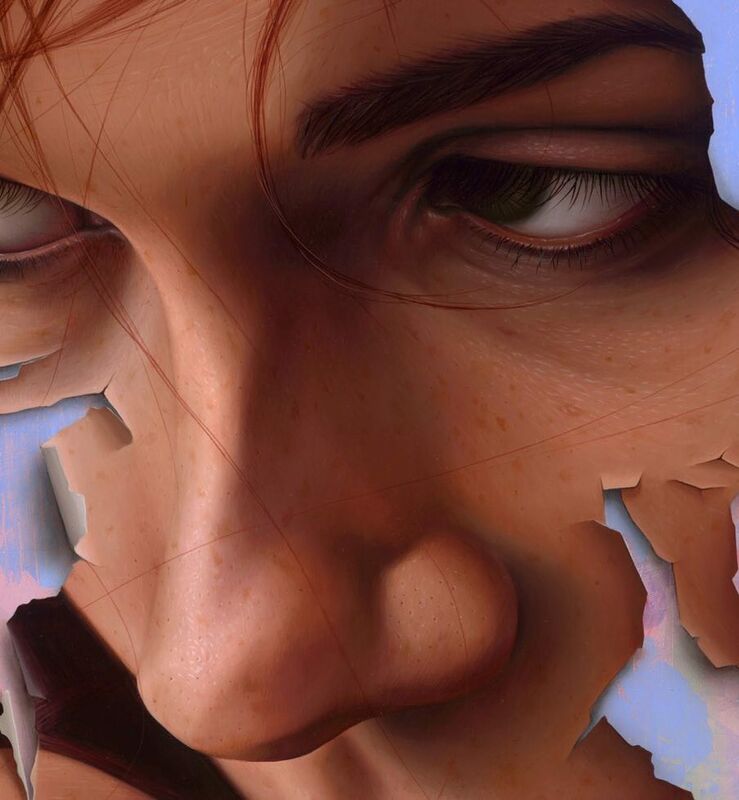 Thinkspace Family artist James Bullough was recently featured on Artist A Day. 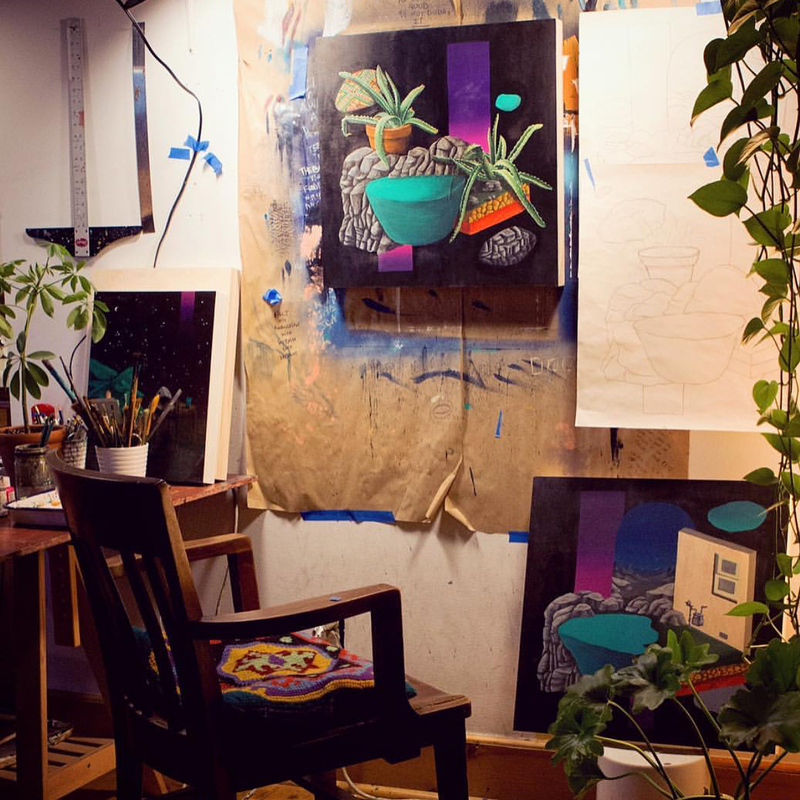 Bullough’s distinctive style has graced found materials, canvases, and massive walls. 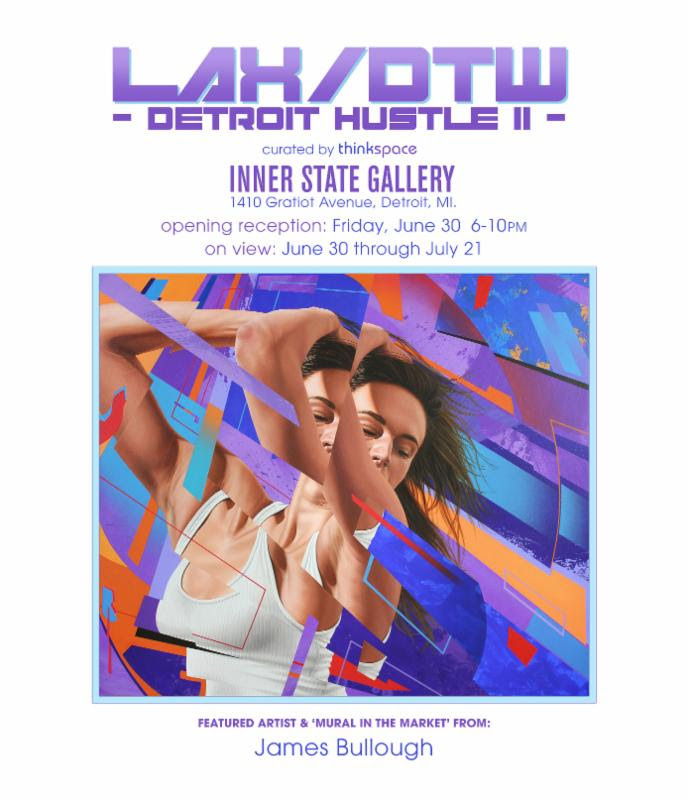 We have big things coming up this year with James Bullough including an artist spot in ‘LAX / DTW: Detroit Hustle II’ opening June 30th at Inner State Gallery/ 1xRun. 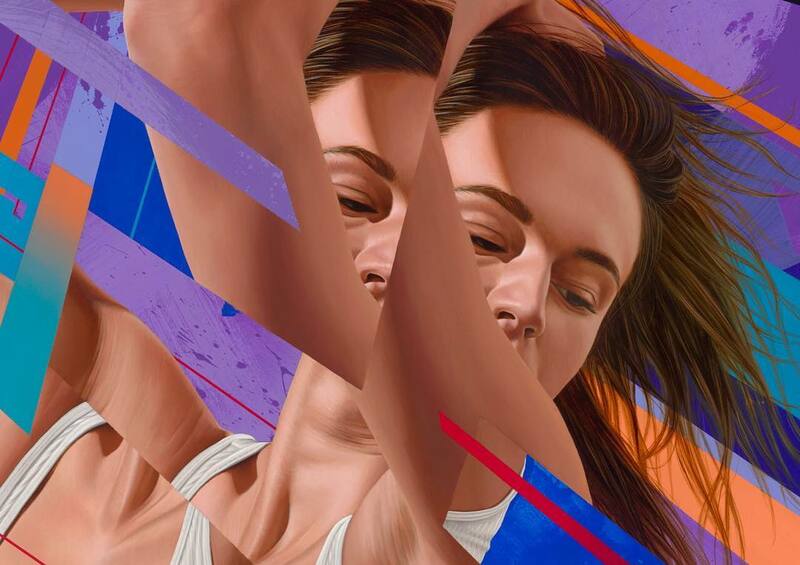 All available work from James Bullough can be viewed on Thinkspace Gallery website, and make sure to sign up for the Thinkspace Gallery newsletter for updates on Bullough. 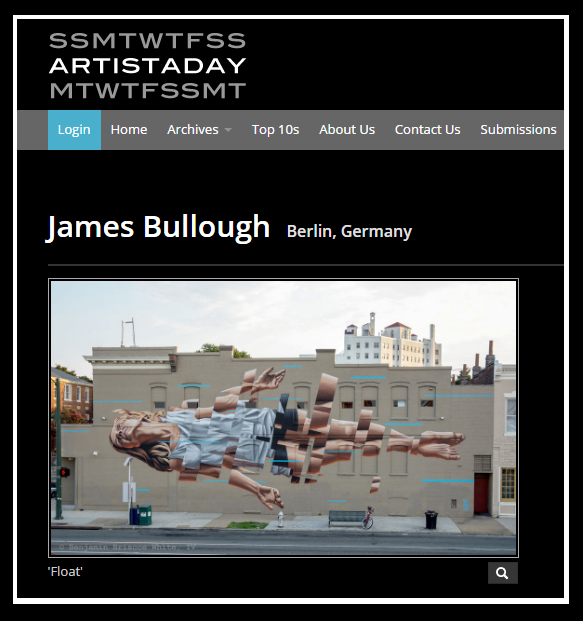 Jump over to Artist A Day to view James Bullough’s feature.